The Bitcoin online gambling industry is already filled with numerous casinos that offer exceptional slots games, making the competition among these betting sites to have the best Bitcoin slots a little tougher. However, Bitzino still manages to stand out from the rest of the casinos when it comes to the slots betting experience. That is why slots enthusiasts who are looking for another gambling venue online to enjoy their favorite casino game should check out this Bitcoin online gambling site. 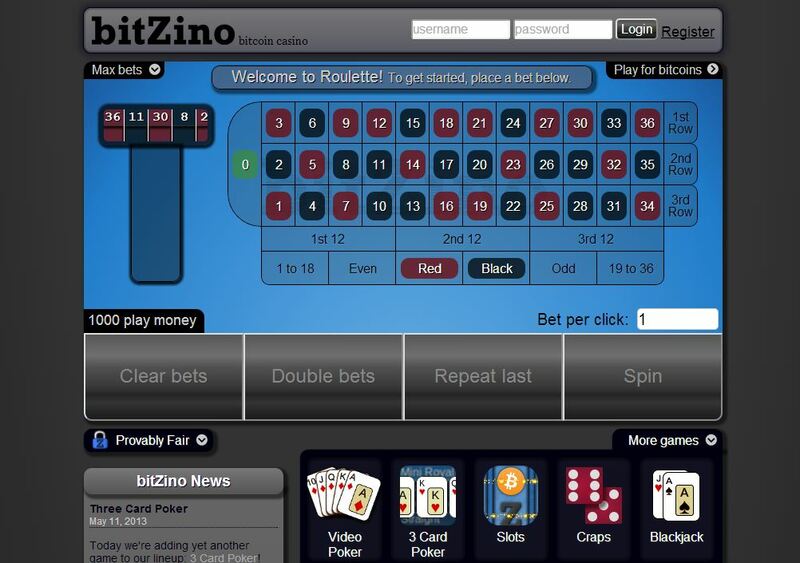 Unlike most of the Bitcoin casinos, Bitzino only offers one slots game. To further make it different from the video slots that already populate the cyberspace, it features a classic three-reel slots game. What makes it different from the traditional slots that were once very popular in brick-and-mortar casinos, though, is the fact that this game offers up to five active pay lines. Therefore, it would be easier to catch winning combinations here than most of the vintage three-reel slots also available online. Moreover, this casino continues to make a name in the world of slots betting because its game is provably fair. This means that every generated result of each spin of the reels is guaranteed to be safe and free of any manipulation. Likewise, bettors can verify whether or not the fairness of each spin is indeed reliable and fair. Not only does this feature make the game more attractive to play Bitcoin slots, but it also uplifts the reputation of this casino in the Bitcoin gambling industry. Besides this, the Bitzino slots game, which is called ‘B’s and Z’s’, employs a simple yet user-friendly betting interface. Its design is far from the graphic-intense themes of most online slots, but it still succeeds in creating visual entertainment. The symbols use various colors that complement each other well. Although it lacks animations, especially when a winning pattern is formed, the game uses streaks of yellow lines instead. However, avid bettors who are fans of special in-game features are better off playing slots in other casinos because the game here does not have any of those. Thus, players who will wager on this game must not expect to find Wilds and Scatters or other features that will initiate bonus games. Despite the lack of most facets that are prevalent in the slots of other Bitcoin casinos, Bitzino has achieved to appeal to various kinds of bettors, especially fans of slots. The mere fact that the game is easy to play, fun, and provably fair already gives enough reasons for slots enthusiasts to place their bets in this casino and begin to spin the reels of its slots game as many times as they want. Experience having fun and winning bitcoins in a safe betting environment by simply heading over to this Bitcoin-powered casino online!